Thanks to Warren Ellis and Ed Adkins for posts this morning reminding us what Valentines Day is really all about. 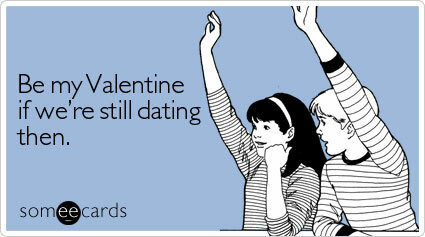 Here’s some ecards you can send the people you aren’t yet sick of. I hope everyone has a night full of things they will deny ever doing tomorrow. I know I will. “In the end, all you can hope for is that the happiness you feel now is 10x better than the happiness you had when you were together”. I do. And it does.